Tattaavadbhaadi Sakshaat Gurupavanapure Hanthabhaagyam Janaanaam"
That is of the form of complete knowledge, happiness, incomparable, beyond time and space, ever unattached, although praised by 100,000 verses in the vedas and is still beyond description. 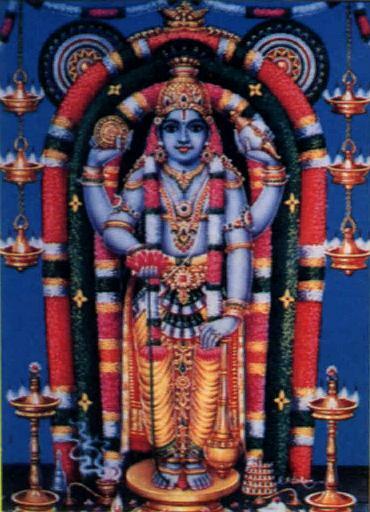 This brahman, on seeing which one attains the purpose of life (the four purusharthas of dharma, artha, kama and moksha), is HERE shining, in front of us at Guruvayoor, for humble people to see as their own bhagyam (fruit of vows). Indeed a blessing! The beginning of a journey, the Lord has helped me in every walk of life. I am grateful to God for the immense help and love that he bestows upon us. Visit the abode of the Lord..